Pinoys love to eat bread. In fact, it’s a staple food in the country second only to rice. 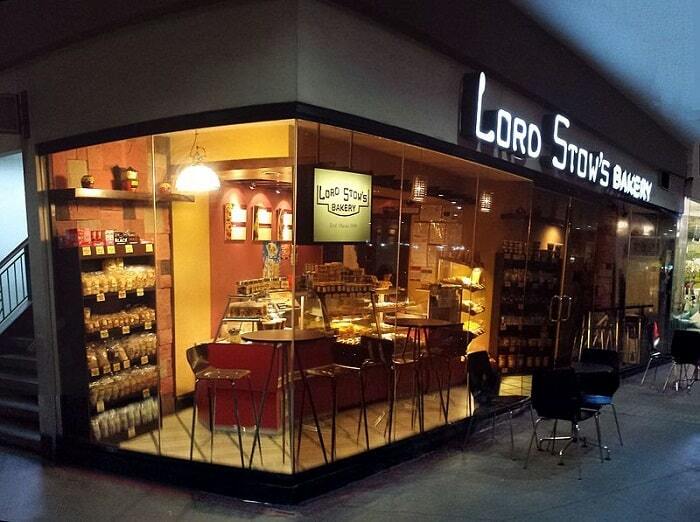 For this reason, a bakery business in the Philippines is one of the most profitable ventures you can invest in. Let’s find out the ins and outs of opening a bakery business in the Philippines, and whether or not it’s the right business idea you can succeed in. Ideal for: Full-time entrepreneurs with experience in baking either through a previous job in a bakery or paid hands-on training. Capital: Initial investment of Php 150,000 which can be lower if you put up the bakery business in your own place instead of paying as high as Php 30,000 in monthly rental. 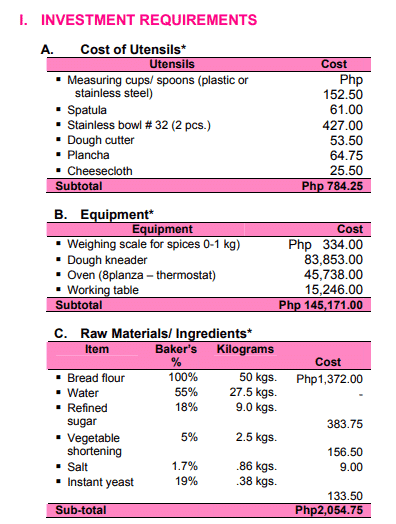 The bulk of the capital is spent on purchasing baking utensils and equipment which can cost Php 60,000 or higher. Pandesal business capital based on current market prices. Source: DTI. The total capital also depends on what type/s of bread you’re planning to sell. 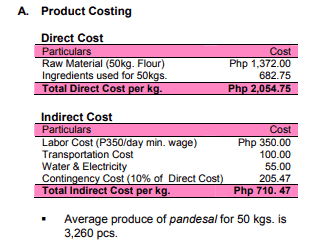 If you’ll exclusively sell plain or malunggay pandesal, the cost to put up the business will be significantly lower since its ingredients are inexpensive and readily available (see table above to have an idea how much money you need to start a pandesal bakery). Filipinos love to eat bread any time of the day. At breakfast, they love eating pandesal and monay with a hot cup of coffee. Come merienda time, they usually snack on sweeter bread varieties like ensaymada, mamon, cheese bread, and pan de coco, washing it down with a cold bottle of their favorite soft drinks. 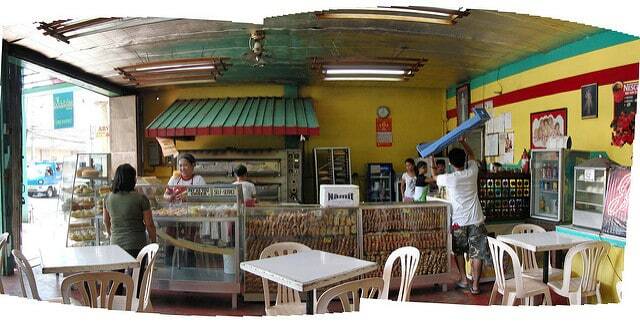 If you are to open a bakery business in the Philippines, bread and beverage is the perfect combo to sell. You have ready buyers regardless of the social class you’re trying to target. 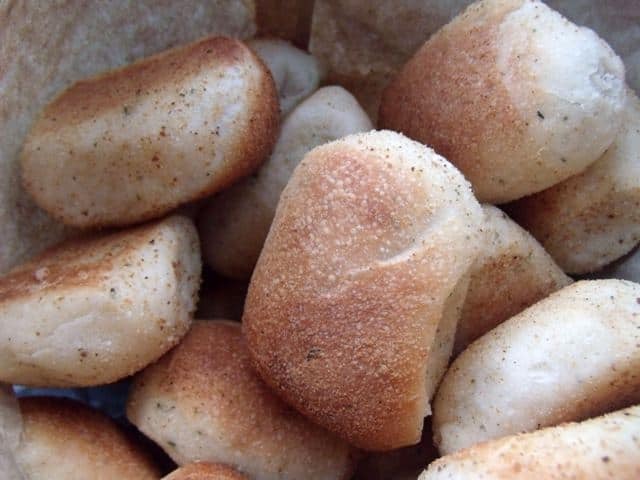 For the masa, classic Filipino breads are proven best-sellers. The higher-end market, on the other hand, buys more expensive varieties like hamburger buns, French bread, and cinnamon rolls. People buy convenience. The working class is too busy (or broke) to sit down in a fine dining restaurant to eat. They want a quick way to satisfy their cravings like a bread they can easily buy from a bakery and bring wherever they go. It’s more demanding than food cart business or other food businesses that require smaller capital. Apart from the initial investment, you also have to invest a lot of your time, dedication, and patience to see it through the tough times. That’s why people who start a bakery business in the Philippines without any passion in bread-making rarely succeeds. How to start a bakery business in the Philippines. Step 1: Evaluate the reason why you want to open a bakery business. Running a bakery business in the Philippines is challenging. Money is not the be-all and end-all of opening a bakery. You also need the knowledge capital that will help you manage the minute details of this food business. If you’re just here for the money without the passion, training, and expertise needed, chances are you might quit in the face of struggles. Know your purpose and start from there. Step 2: Take up baking courses. Starting a bakery business is different from baking cookies at home. You can learn the latter through YouTube tutorials and books about baking. Baking for a lot of people, on the other hand, requires you to scale everything up. People love to buy from bakeries who produce hundred or thousand pieces of bread with the same exact taste. And this consistency can be achieved if you hire bakers who know about business-scale baking. But what if one or all of your bakers suddenly quit? Unless you also know how to bake, your bakery business will inevitably stop its operation. Fortunately, there’s no shortage of schools or training programs that can teach you hands-on baking experience. Flour mills provide free or paid baking courses as part of their marketing efforts. The knowledge and skills they teach are recommended for aspiring bakery business owners because their seasoned instructors not only teach hands-on baking experience but also the business side of it. One month of training experience should be enough to equip you with the tools you need to start running a bakery business. PAFMIL Baking Center – a baking school run by the Philippine Association of Flour Millers (PAFMIL) and located at the DSWD Jose Fabella Compound, Correctional Road in Mandaluyong City. A baking school in BF Homes, Parañaque City run by Pilmico Foods Corp.
Maya Kitchen in Makati City owned by Liberty Flour Mills. A baking school in Cebu City run by General Milling Corp. Step 3: Perform basic market research. Assuming that you’re planning to open a bakery business with small capital, you don’t need to spend a lot on market research. In fact, you can do it on your own by asking people about their favorite bread, observing their behavior, and studying the products and pricing strategies of your close competitors (if there’s any). Your target market and the type of products that suit them. If you live in a rich neighborhood, serving French bread and other high-end varieties makes a lot of sense. 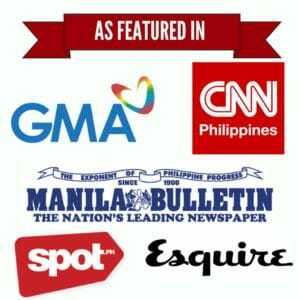 However, it won’t work in a bakery located in Tondo or smaller barangays in provinces where people prefer pandesal and other cheap bread they’ve become accustomed to. Your competitors and how to differentiate your bakery from theirs. Competition is good if you look at it as a sign that there’s a demand for your product. In the case of bakeries, your competitors can help you understand whether there’s enough profitability, learn about the products that make them profitable and get ideas on how to make your bakery better than them. Step 4: Find a good location. In order for your bakeshop to flourish and recoup the initial investment faster, you must put it up in a residential area where there’s a great amount of foot traffic. Ideally, the bakery business should be located where your house is so you don’t have to worry about paying monthly rental fees. However, you can still rent a space as long as there’s enough foot traffic to justify it. Step 5: Decide whether to franchise or go on your own. In any type of food business, the first few months or years are always the toughest. Without prior experience, you are left to your own devices. Therefore, you are more likely to commit many mistakes along the way. But with grit, you can get through this phase and let experience become your own teacher. For starting entrepreneurs who want to minimize risks, you can franchise a bakery business with a ready system and proven track record. Although the franchise fee may cost more, you will also worry less since packages–like the ones offered by Kambal Pandesal of San Miguel Mills–already include the baking equipment, marketing support, and free site assistance and monitoring. Each option has its own pros and cons. Weigh the risks carefully and decide based on your level of experience and capital. Step 6: Secure the required permits and certifications. By legalizing your business, you can focus more on growing your business instead of worrying about the law running after you. Business name registration in the Department of Trade and Industry (DTI) if you will run the business on your own (single proprietorship) or in Securities and Exchange Commission (SEC) if the bakery is owned by a partnership or corporation. Mayor’s Permit or Residence Certificate & Sanitary Permit from the local municipality where the bakery business is located. License to Operate (LTO) as a “food manufacturer” or BFAD Certificate from the Bureau of Food and Drugs (BFAD). Tax Identification Number (TIN) from the Bureau of Internal Revenue. When putting up a bakery business in the Philippines, expect to incur several mistakes and losses in the beginning. Hence, it’s a smart move to start with whatever little money you’ve got. It’s better to act on your ideas early even with limited resources than let perfectionism paralyze you. One advantage of starting small is you are able to test the market and learn which products sell the fastest. You will also learn the nitty gritty of starting a bakery business without the need to open a big business from the get-go. Remember, it’s better to start a pandesal bakery and expand later on than to start big and downsize eventually for lack of business strategy. As your business grows, so do you. And once you’re ready for expansion, you can buy more expensive equipment for mass production and add more bread products in your inventory. Step 8: Buy baking equipment. A significant percentage of your capital will be spent on buying baking equipment. Since you’ll be using them every day, you have to meticulously choose products that can withstand daily operations. Explore your options. Compare products in terms of price, features, and technical support. Don’t settle on one product right away without talking to different dealers. Buy equipment based on your daily target output. If you will be baking 1,880 pieces of pandesal, for example, you need a mixer and an oven that both can handle and process one bag of flour. Choose baking equipment made by local manufacturers since they can offer technical service immediately in case the equipment breaks down. In contrast, imported equipment isn’t only more complicated and expensive, its manufacturer is also more likely based abroad and won’t be able to provide technical assistance right away. When buying second-hand baking equipment, ensure that their quality is still up to snuff. One option would be to buy used equipment from baked shops that have recently expanded. Since they’ve used their old equipment for years, they can attest to their quality and offer them to you at a great discount. Step 9: Know your ingredients. The quality of the ingredients you use affect the price and taste of the baked products. Fail to pick the right ingredients and your products may end up too bland, too expensive, or both. In terms of cost, the price of baking ingredients fluctuates depending on the demand and competition. To keep the price of your baked products affordable despite the unpredictable market, choose locally produced flour instead of imported varieties. The former is cheaper, fresher, and more consistent in terms of quality. Alternatively, you can take inspiration from Yelly’s Bakeshop that has capitalized on bread made from vegetables. By replacing flour with mashed squash or malunggay leaves, they’ve been able to cut costs and also offer healthier, tastier, and cheaper products to their consumers. Regardless of the type of ingredients you use, it’s important to remember that people buy bread regularly because of its familiar taste. Switching to cheaper ingredients may save you money in the short term, but the buyers you can potentially lose due to change in taste makes it not worth it. Keep the quality of your ingredients and the process of making your products consistent. People buy quality so only give them quality all the time. Step 10: Price your products strategically. Whether your bakery business targets low-income earners or the high-end market, the price of your products should give you a good profit margin. After all, you won’t call it a business if you price them too low that you no longer able to profit from it. As mentioned previously, the ingredients and the formulation you use have significant influence over how much your baked products will cost. Under normal standards of baking a loaf of bread, one sack of flour can produce as much as 81 loaves weighing 550 grams each. If you sell it at Php 40 per loaf, you can get a gross revenue of Php 3,240. 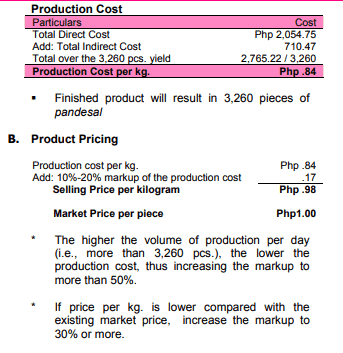 Subtracting the overhead cost as well as the cost of materials and packaging amounting to Php2,536.13, your gross profit margin would be Php 703.87 per bag. The profit margin will be relatively higher if you sell pandesal that requires less and cheaper ingredients. A bag of flour can produce approximately 1,800 pieces of pandesal weighing 25 grams each. Seling it at Php 2 per piece will give you a total sales of Php 3,600 per sack. From the gross earnings, you will deduct the taxes, manpower, rentals, and other overhead costs. Even if you learned business-scale baking from the training schools or programs you enrolled in, you can’t do everything on your own. As your bakery business in the Philippines grows, it will be indispensable to find honest, hard-working people who will take care of the daily operations while you attend to things that matter more. Finding the right people to man your bakery business can be a matter of trial and error. You need to find experienced bakers and employees who know how to work around a bakery and will never resort to pilfering. It’s your responsibility to teach them how to properly handle the products and ingredients. One breach in sanitation or the standard baking procedure can negatively affect the final products and eventually the reputation of your business. To motivate your workers to do their jobs well, you should also do your part. Pay them well and treat them like a family without blurring the line between the employer-employee relationship. Remember, a happy employee is a reflection of how you run your bakery business. And the more happy employees you have that go the extra mile for their jobs, the more happy customers you’ll gain in the long run. Step 12: Learn how to innovate. With the bakery business in the Philippines becoming more saturated, you can never afford to be complacent. Previously, you were introduced to Yelly’s Bakeshop that uses vegetables instead of flour to make their nutritious bread. This unique selling proposition is what sets them apart from others who follow the same traditional baking techniques. Whether it’s through improving customer service or offering products not found anywhere else, a bakery business should never stop conceptualizing, implementing, and testing ideas that will make them more memorable for their consumers. Focus on providing good products and topnotch service. Only use quality ingredients and keep the taste of your products consistent. Put yourself in your customers’ shoes and imagine how you want to be served. When all bakeries offer the same products, the only way to have an edge over others is to offer good service. Require your employees to wear proper uniform and smile to every customer regardless of social status. Leave a good first impression and you’ll earn repeat customers in no time. Be a hands-on bakery business owner. Provided that all the aspects of the bakeshop are taken care of, hard work is what will make the business last. As Metring Cuevas of Cuevas Bakeshop reveals, a bakery business should be run round-the-clock because bread is a delicate product to sell. It’s not a business for the lazy so don’t open a bakery business unless you’re ready to commit your time and effort to make it a success.